New in stock! 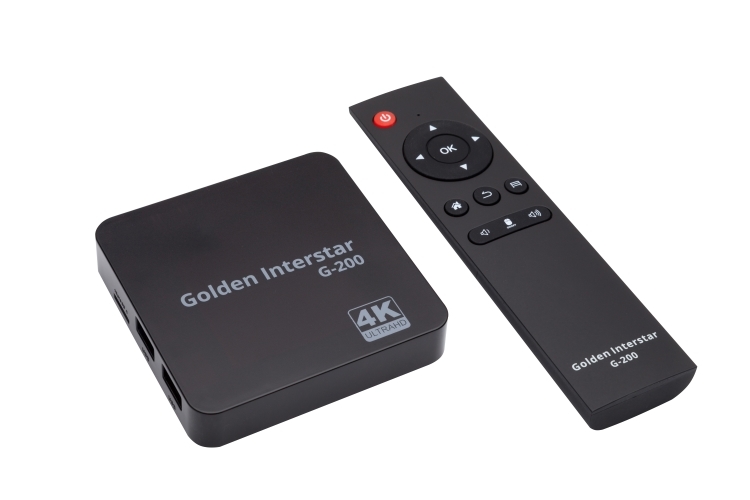 Golden Interstar G-200 4K UHD Android TV Box IPTV Bluetooth WiFi. Great spec IPTV and Media Player / Streamer! From only £51.95 when purchasing 10x units! Optional Airmouse Keyboard remote only £10.95! NeStalker IPTV app exclusive to Golden Interstar! Support for 16 IPTV Portals, Stalker, Xtream-codes, M3U List from HTTP Server & more! 1000's app's available via Googleplay store! KODI, Plex & more! Amlogic Quad core 1.5GHz CPU!